USB-2019 - 8 Channel Universal Analog Input Data Acquisition Module. Compare with traditional PC-based I/O card, it is waste of time to open chassis and configure I/O board and it is not easy to move PC. USB-2019 is new solution for data acquisition in USB interface provided by ICPDAS. The advantage of USB-2019 is acquiring data easily and quickly due to the plug-and-play benefit from USB interface. USB-2019 is an 8-channel universal analog input module with USB interface. 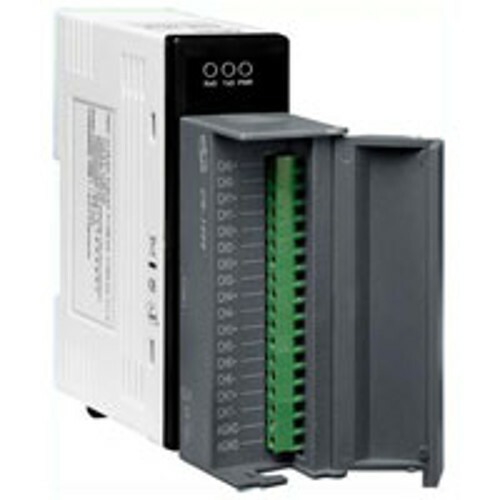 Each channel provides over-voltage protection of up to 240Vrms or 250VDC. USB-2019 provides various input type, it has voltage input type from ±15mV to ±10V, and current input type can be either 0~20, 4~20 or ±20 mA, it also provides widely thermocouple devices J, K, T, E, R, S, B, N, C, L, M and LDIN43710 support. USB-2019 is special designed product for extremely accurate thermocouple measurement and features automatic cold-junction compensation for each channel to ensure temperature output consistency and stable temperature output in field. The innovative design of the enhanced model ensures that thermocouple measurement is more accurate than with the earlier design. This module also features per-channel open wire detection for thermocouple and 4 ~ 20 mA inputs. The application fields can be building automation, factory automation, machine automation, data acquisition and control, environment control and monitoring, laboratory equipment & research, etc. USB-2K Utility provides a simple way to easily test and instant acquire data for all ICP DAS USB IO series modules without programming. Common Mode Rejection 150 dB Min.